For B2B marketers, the stakes have been raised. As competition grows and professionals become increasingly resistant to promotional messaging on the web, we must step up our games in order to make a real impact with our campaigns. Many are rising to the challenge. These five companies stand out as exemplary case studies from the past year. Each one found a unique and creative way to frame its message, while reaching the right professional audience and achieving exceptional results. These are our picks for the best B2B marketing campaigns of 2017. There are plenty of other deserving choices, and as we look ahead to 2018, perhaps yours will be next. Hopefully these examples of well-devised strategies in action will help inspire you. Two of the best ways to capture attention online? Striking visuals and recognizable references. Drawbotics managed to incorporate both into this innovative program. A real estate marketing platform, Drawbotics creates high-definition 3D floor plans as one of its service offerings. 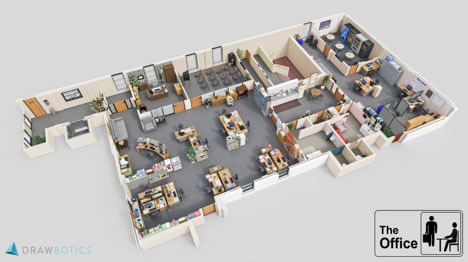 To demonstrate this capability, the company used its technology to render models of fictional workspaces from such popular TV shows as The Office, Mad Men, and Suits. Each of the recreations included subtle Easter Eggs and intricacies that only fans of the shows would pick up on. To spread the word, Drawbotics shared its work with a targeted audience on LinkedIn and other platforms. And as they hoped, the campaign also gained some viral traction, with media outlets like Business Insider and Mashable featuring the work. Results included “massive uplifts in traffic to their website and blog in addition to signups and sales across 40 different markets." Playing off of this dynamic, MailChimp teamed with agency Droga5 to promote its email marketing platform through a multifaceted campaign that involved conjuring several different brands with variations of the company’s name, and then creating actual products and media assets to make them real. Operating in the assets management space, ETF Securities faces stiff competition when trying to communicate its value to professionals. But the firm was able to do just that with a well defined LinkedIn marketing campaign that focused on two key content pillars: investment themes and research. After narrowing its audience scope and applying the right filters, ETF ran a series of educational materials and demonstrative resources, promoting them through Sponsored Content. To help the posts stand out on feeds, the program included plenty of rich media assets like infographics and videos. 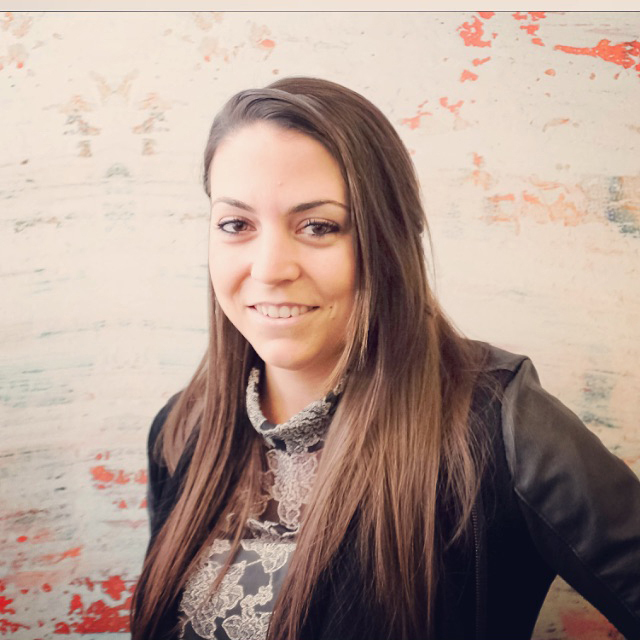 This strategic content resonated with members, driving powerful engagement and delivering 95 percent year-over-year growth in followers on the platform. As TransferWise, a money transfer service, was preparing for its launch in Toronto, it had a compelling message for the market: In 2016, banks profited off Canadians to the tune of more than $1 billion in the form of misleading fees and exchange rates. The company’s transparent offering provides a helpful solution for both consumers and businesses, but how to educate people on a problem many aren’t even aware exists? TransferWise enlisted the agency Tigris Events to execute an ambitious “WakeyWakey Canada” campaign, wherein dozens of actors roamed the city’s streets in pajamas, representing the sleepwalking masses unaware of this troubling and overlooked issue. The event included props such as bed linens, feather pillows, and a giant 10-foot-tall alarm clock complete with TransferWise branding. Digital disruption is a reality that every business faces today, and often a stressful one. In efforts to become positioned as an advocate and guide for companies seeking to transform, CA Technologies launched a global campaign branding itself as the “Modern Software Factory.” They then built this narrative out extensively, formulating content around the message and equipping their sales teams with education and training to apply it in the field. I think the biggest lesson -- and it sounds so obvious -- is that when you keep the customer at the center of everything, it's your True North. We just kept coming back to, "How do they express their needs? Where do they place the greatest value?" It framed how we would tell the story, and what we would emphasize. For more examples of the best and brightest B2B marketing applications, and steady advice on how to create your own award-worthy campaigns, subscribe to the LinkedIn Marketing Solutions blog.